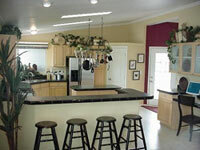 Gulf Gate Inc is a dealer of both new and used manufactured or modular homes and land/home packages. Karsten, Clayton, Schult, Franklin, Fleetwood, and Solitaire Homes are sold here! Let's get you and your family into one of our homes today! Se Habla Español. Gulf Gate has more than 32 years in the mobile home business. We have the experience and the knowledge to provide you with the quality, services, and products you want. 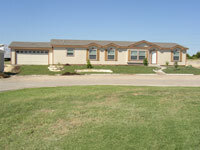 Our friendly and courteous staff have years of experience that help you find the right house for you and your family. We are members of the Better Business Bureau, Texas Manufactured Home Association, and the Corpus Christi Chamber of Commerce. With your needs and desires in mind, Gulf Gate has developed our company's capabilities to better serve you! Our highly trained staff will help you browse through our homes to find the house best suited to your individual needs and budget. If you have any questions or requests, our friendly staff is always standing by and ready to help in any way they can. We are dedicated to Earning Your Business! Learn more about the unique selling features of Fleetwood Homes. Would you like to know what comes standard in a Karsten Home?